Born in Istanbul, 01 January 1924. His father Osman Nuri Ulutin (1880-1963) was a retired military officer and mathematics teacher in Bursa Işıklar Military High School. His mother Emine Seniye Ulutin died in 1986. Orhan Ulutin graduated from Bursa High School in 1941 and entered the Medical School of Istanbul University. He graduated in 1947 as MD. Became assistant in Second Internal Clinic of Medical Faculty of Istanbul University under Prof. Erich Frank. His interest in hematology, blood coagulation and its biochemistry began when he worked in the Frank clinic and laboratory. Became internist in 1952. Served in the army for his mandatory service as internist in the army hospital between 1953-1954. Returned to the Medical School as head assistant and instructor in internal medicine between 1954-1959. During this time his work was on platelets, coagulation factors, ultra structure of platelets, KH-metabolism, hyper and hypopotassemia, platelet release mechanism and its defects, qualitative platelet disorders, among others. 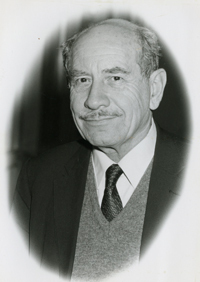 In 1959 Ulutin was invited as research associate to Henry Ford Hospital by John Rebuck and Shirley Johnson, Detroit because of his expertise on platelets. Their work was on the ultrastructure and biochemistry of platelets and its disorders. In 1960-1961, Ulutin joined the Department of Physiology and Pharmacology in Wayne State University, Detroit. He worked there with Walter H. Seegers on the purification, activation and inhibiton of coagulation factors. It is during this time that the discovery of autoprothrombin II – Anticoagulant (Protein C) was made. After he returned to Istanbul he became a haemotologist by passing the examination and became a lecturer. He also earned the title of “Docent” (Associate Professor) by examination in 1962 and moved to the First Internal Clinic of Medical Faculty of Istanbul University. In 1963 he founded the Division of Hematology in Internal Clinic of the university and also the Research Laboratory. In 1963 he spent 2 months as “Visiting Scientist” in the Science Faculty of Tel Aviv University and Beilinson Hospital. He worked there with Prof. Andre de Vries. He partook in the medical research group of TÜBİTAK (Turkey Research Institute of Science and Technology) between 1953-1978. Ulutin became Professor of Medicine in 1966. In 1969, Ulutin founded the Thrombosis and Haemostasis Research Center with affiliation to the Science and Research Council of Turkey. In this center he and his coworkers worked mainly on the basic and clinical problems of Haemostasis and Thrombosis with collaboration from different faculties and clinics in Turkey. He also performed experiments on animals during this time with dogs, rabbits, mouse etc. His works also included studies on atherosclerosis haemostasis and certain drugs including LMW Heparin and Defibrotide. He spent 3 months in 1986 as “Visiting Professor” in Loyola University working with J. Fareed and his coworkers, giving seminars on certain topics. He also spent a month in Mayo Clinic working with E.J. Walter Bowie and his group. His works also include studies on Antithrombin III and Protein S. He was credited for these works and also for his work on Protein C in Charles A. Owen, Jr.’s book A History of Blood Coagulation. He retired in 1991 but continued to lecture in Marmara University Medical School and represent Istanbul University in certain Academic council meetings. In 1995 he has been elected as Honorary Member of Turkish Academy of Sciences (TÜBA) and started to give lectures in the Anatolian Universities in the name of the Academy. 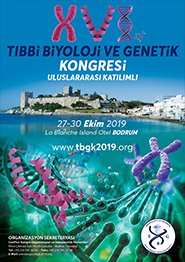 Ulutin was among the founding members and also served as the president of Turkish Society of Hematology and The Society of Thrombosis, Haemostasis and Angiology. He also has served as the president of the Asian and Pacific Society of Hematology and the International Society of Hematology’s European-African Divison. He was a founding member of the Mediterranean League Against Thromboembolic Diseases, the Danubian League Against Thrombosis and Bleeding Disorders, the Mediterranean League of Angiology and Vascular Surgery, and the Mediterranean Blood Club which he also served as the Secretary-General of. He served as the vice president of the International Society of Hematology (ISH) and as the Councillor at Large of International Society of Hematology’s European-African Division. He has recieved the Life Time Achievement Award from the International Union of Angiology in 2002, the Honorary Founding Membership from ISH in 2003 and has recieved the title of Lifelong Honorary Member by ISH in 2005, among many others. He made 1022 publications including books, papers, abstracts; both in Turkish and in foreign languages. He married with Prof. Dr. Şengün Balkuv Ulutin in 1969. He has two children; Prof. Dr. Turgut Ulutin and Timur Ulutin; and three grandchildren; Murat Ulutin, Elif Ulutin and Rana Ulutin.